ONYDIA "A New Safe Path"
Midwest death metal titans JUNGLE ROT have released “Fearmonger”, the lead track from their tenth and most vicious album to date. 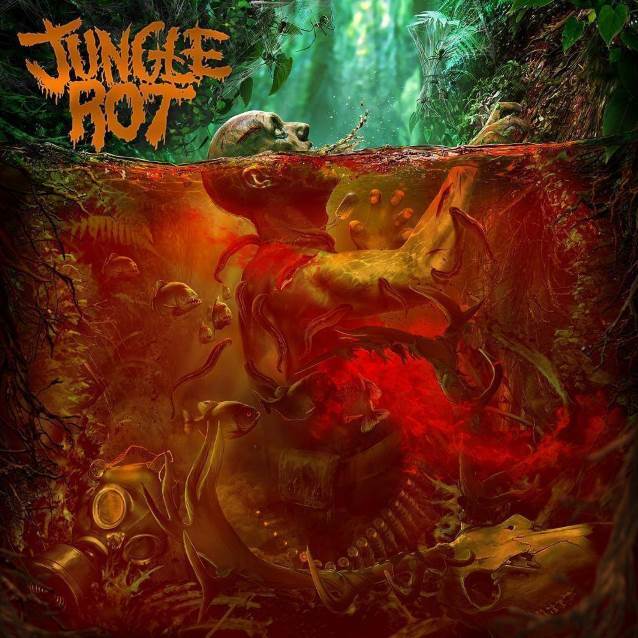 The self-titled “Jungle Rot” is due on July 20 via Victory Records. “Expect a beatdown if you aren’t prepared,” promises bassist James Genenz. As the album hits shelves, JUNGLE ROT will hammer audiences as it returns to the road with HAVOK and EXTINCTION AD starting July 23 in St. Paul, Minnesota. “Fearmonger” features DESTRUCTION vocalist/bassist Schmier lending his shrieking throat as JUNGLE ROT vocalist/guitarist Dave Matrise lays down a counter-guttural growl lower than Dante’s gates of hell. In January 2018, JUNGLE ROT entered Belle City Sound with engineer Chris Djuricic behind the board. Mixing and mastering was done by the legendary Dan Swanö (DARK FUNERAL, MARDUK). “Jungle Rot” blasts off with “Send Forth Oblivion”, an audible equivalent to stainless steel medical devices in your eardrum. Another track, “Glory For The Fallen”, shows Genenz pounding away at his woofer as he explains the track was written for his close friend Jeff, who was murdered in 2017. “Jungle Rot” closes with a crushing cover of KREATOR‘s 1987 classic “Terrible Certainty”. “I love this song and it’s one I’ve always wanted to cover. I remember seeing them for the first time, saying to myself I want to start a band,” Matrise confesses. As the hype surrounding JUNGLE ROT points that this is their most dynamic and diverse release to date, Matrise states the band has never measured their success by tailgating other acts. The cover art for “Jungle Rot” was again helmed by the masterful and brutal mind of artist Gyula Havancsak. “Jungle Rot” pre-orders are available now and feature all new t-shirts, long-sleeve, baseball tee, 46″ x 46″ flag, zip-up hoodie, limited-edition colored vinyl, CD and a gore-proof cassette tape limited to only 75 copies. All pre-orders include an instant download of “Fearmonger”.